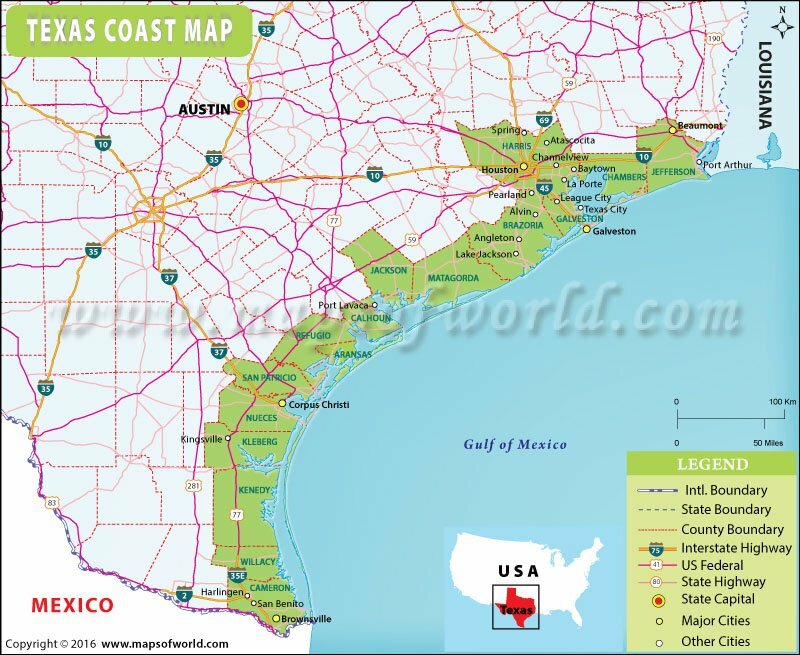 The Gulf Coast of Texas is the southernmost extension of the Gulf Coast of the United States. It may not have the crystal-blue Pacific waters or white-sand Atlantic beaches, but 350-plus miles of Texas coastline has untold charms such as barrier islands and marshlands. The region usually features humid subtropical climate and is vulnerable to hurricanes and earthquakes. With metropolitan sprawls nearby, the Texas coast at times feels like anything but a getaway. Yet, there are stretches of pristine sand, bizarre bayous, and grassy marshlands to rejuvenate. From far-off dunes of Boca Chica and tranquil backwaters of Laguna Salada to unspoiled sands of Padre Island and meandering bayous of Anahuac, the Gulf’s natural beauty invariably beckons travelers in great numbers. Especially during the summer, scores of Texans throng here to find a refuge from congested cities. Galveston Bay, along the upper coast of Texas, is known for sub-tropic marshes & prairies and the bay supports a wide variety of marine life. Laguna Madre lies between the mainland Texas and Padre Island, the world's longest barrier island. Corpus Christi Bay is also an important natural estuary that features diverse coastal habitats. Texas State Highway 35 traverses between Houston and Corpus Christi along the the Gulf Coast.